The Museum of Water isn’t your average museum. 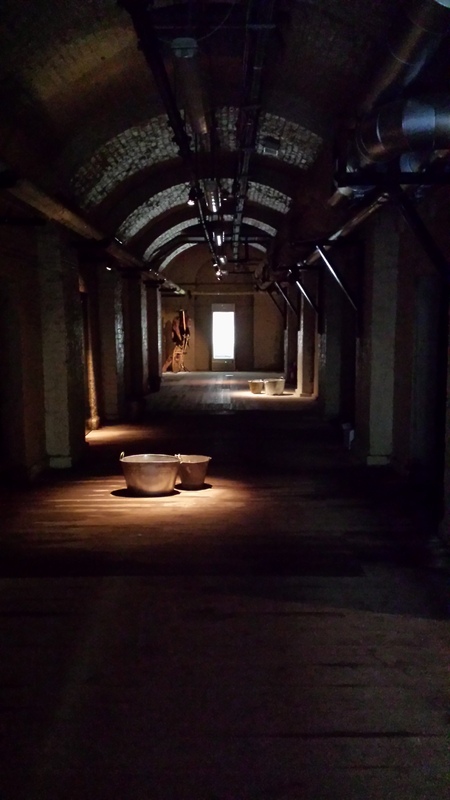 Set up by aquatically inspired artist Amy Sharrocks, The Museum of Water explores our relationship with the life-giving liquid and some of the very human stories that can make a few drops of H2O very precious indeed. 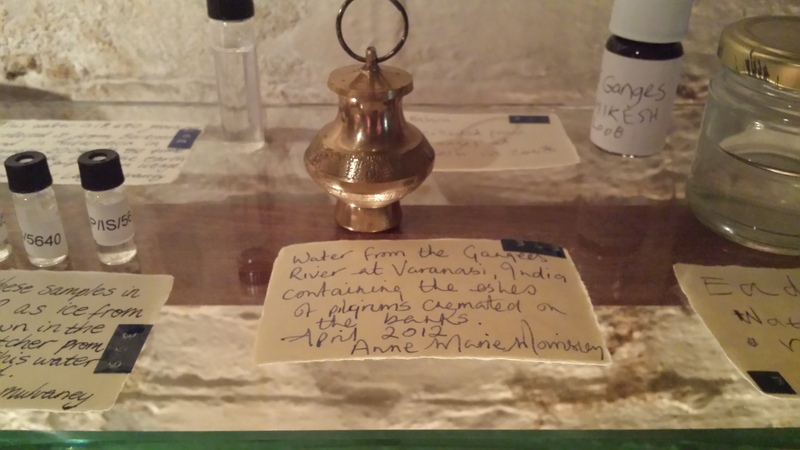 You can find out more about the initiative on the Museum of Water’s website. 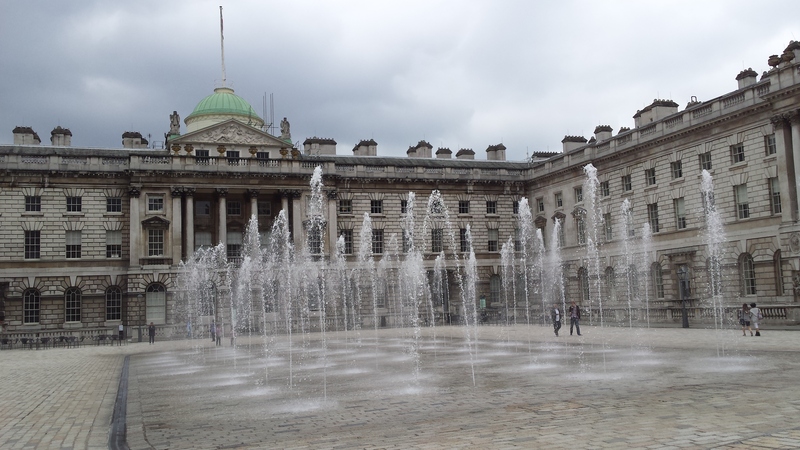 Currently calling Somerset House home, the Museum of Water can be found, fittingly, directly beneath the fabulous fountains. Keep an eye out as you wind your way around the stone passages towards the marine museum. There are lots of little water-related easter eggs to spot, such as the room full of umbrellas and lots of bottles and jars and bowls. As you enter the museum, the dark corridor is lit with small pools of light. Enough to emphasize the buckets strewn across the floor to catch the dripping water from the fountains above. The drip-drop-dripping of the water really added to the atmosphere of the museum. 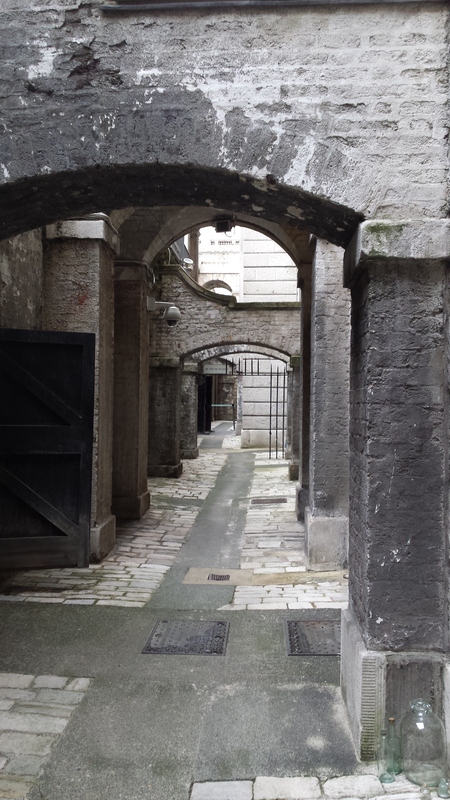 Although the dark corridor looks forboding and unwelcoming, the museum itself is anything but. Clad in green aprons with the museum of water’s insignia on them are the friendliest (I believe they referred to themselves as) Custodians I’ve ever come across. It look no time at all for one to come up to me and start telling me the myriad of stories behind the water. Water may be the medium this museum collects, but the stories are what really makes what’s in these bottles and containers matter. It was especially intriguing to hear about the painted bottle donated by some people who work on the canals. Supposedly it contains water from a very pure spring… actually contains lemonade. No, really. Apart from soft drinks, people have donated all sorts. There is water from meaningful rivers, like the Ganges. The Thames was well represented too, well, naturally. 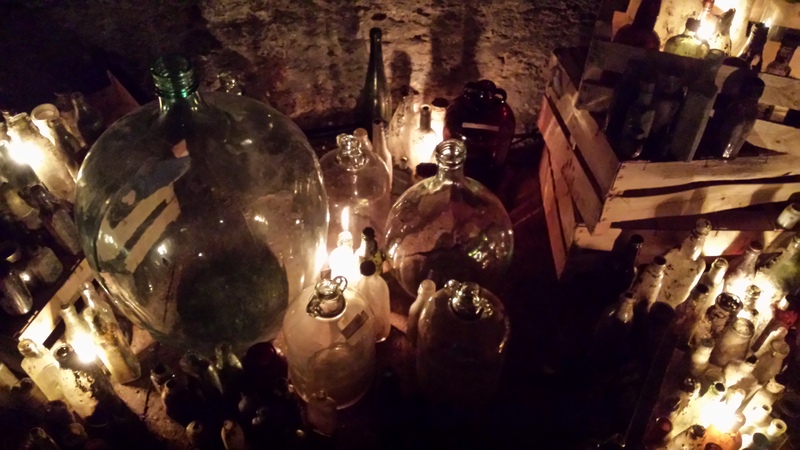 Some kids had really been imaginative and donated lots of magic potions, “But they aren’t really magic” the children insisted according to the Custodian who showed me around. There were so many wonderful stories to tell in this museum, like the mother who stock-piled 5 bottles of water “just in case” back in 1999 when that whole ‘Millenium Bug’ thing could have been a, you know, thing. Or the water-colour paint set that had accompanied a woman on her travels around the world. The stories in turn, charmed me and moved me and made me wonder. I even chuckled with the person who donated water puns (“and this is supposed to be ‘water under the bridge’. The person who donated this is working on ‘water off a duck’s back’ but is having trouble getting close enough to a duck…”). You know what? It has been a while since a museum has really made me ponder something. It goes without saying that our relationship with water is important. Hell, we’re 70% water ourselves, and it was fascinating to see how we relate to this substance that is such a part of us. (I was a little bit surprised no one had donated some whiskey, which is quite literally “Water of Life”. Etymologically speaking anyway…). 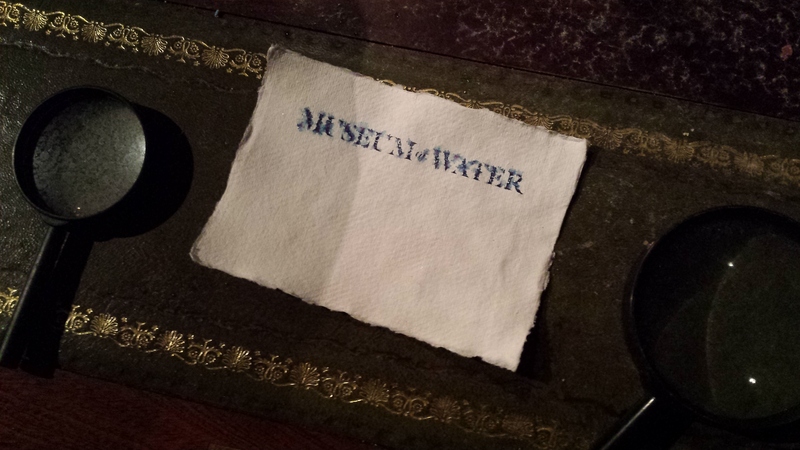 The Museum of Water is an ever-growing collection, so if there is some water that means a lot to you, take a sample and tell them your story. The details are all here.